Tea is, without a doubt, the most consumed beverage in Kenya. But, according to Dr. Stuart Farrimond, a UK food scientist, tea must be brewed for exactly five minutes to make it healthier and more delicious. Tea is a source of polyphenols, which research has shown reduce the risk of cancer and dementia. The levels of caffeine and antioxidant levels increase the longer you brew your tea. 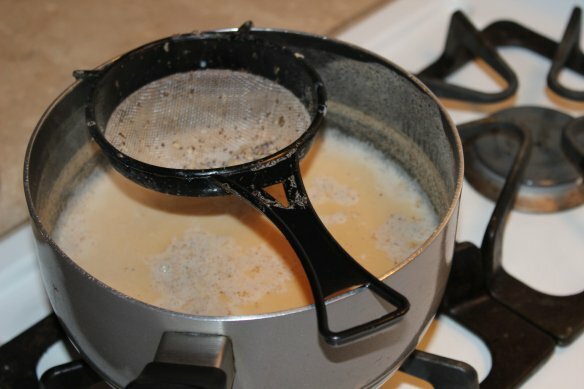 So, once you add the tea leaves it is best to turn down the heat and let the tea simmer for five minutes before serving. If you are using tea bags, let the tea bag steep in the cup for at least five minutes before you drink the tea. You should also avoid drinking tea from styrofoam cups, the kind used in drink dispensers which are a common feature in most offices in Kenya. Styrofoam cups absorb flavor molecules and reduce the benefits associated with drinking tea. It is also best to use soft water to make tea as opposed to hard water. The calcium in hard water reacts with the tea flavor compounds reducing the benefits and tastiness. According to several studies, tea brewed for only 30 seconds only contained 35 milligrams of caffeine, compared to a mug brewed for five minutes that contained 50 milligrams. Tea brewed longer also contains double the number of antioxidants. 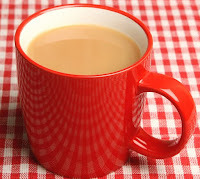 Interestingly, there is also research that shows that tea from a red or pink mug tastes sweeter than tea drunk from a white or blue mug... it's a psychological issue! Kenya tea is free of pests and/or diseases because it is produced without the use of agrochemicals. There are over 50 varieties of Kenyan tea. Each new variety developed enhances the health attributes attributed to tea. Only the best top two leaves and a bud are used in production.